Life has been very busy lately, and the time to write it's almost 0. But it's better later then never. 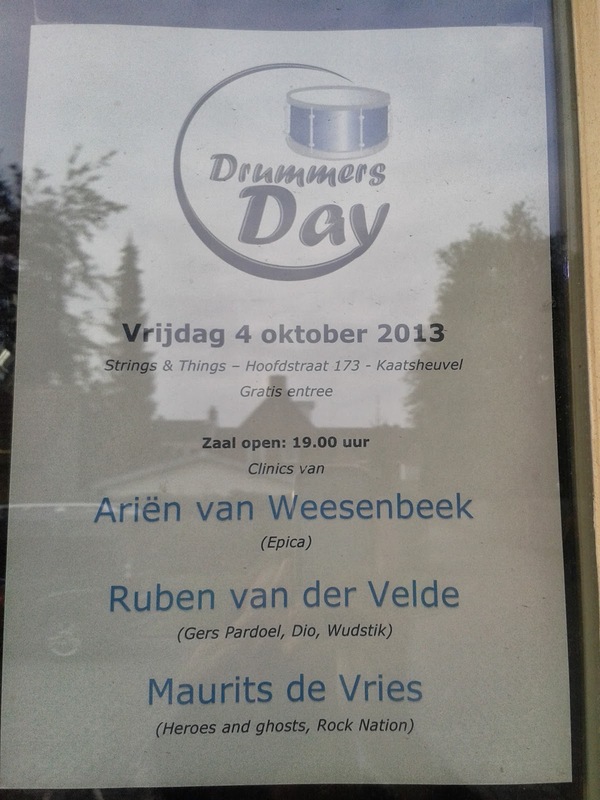 I have been to very nice places/events lately and today, I would like to tell my experience on my very first Drummers day. 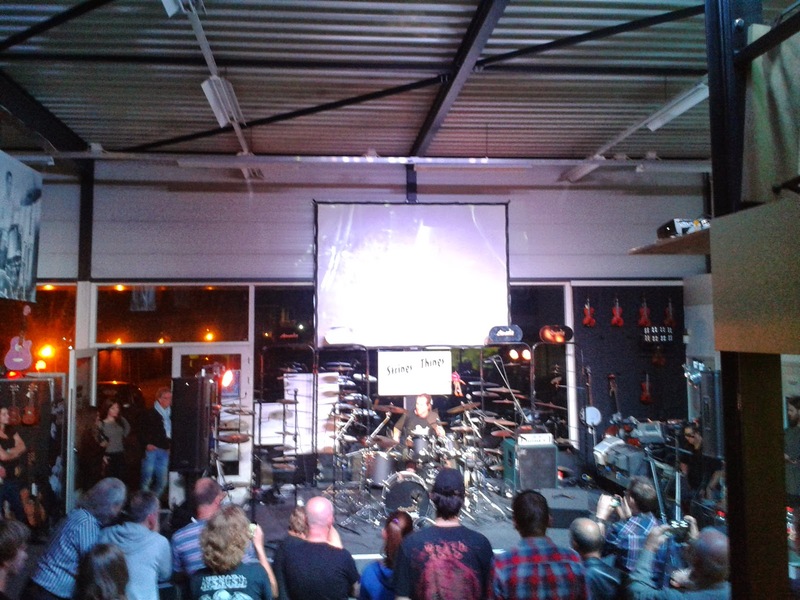 Last Friday, after picking up my mommy at the airport, we headed to a drummers event. It's a very nice concept, to gather all kind of people that share this love for drums/drumming/music. The drummers on that night played totally different styles, which is very interesting, if you like diversity. Now, honestly and without any bias, I think the one who gave the best clinic was Mr.A. The man is a real beast behind those drums! I don't remember, hear people asking for more when there's only drums... If it's a whole band, that happens often, but just drums, it was very unique for me! All in all, I had a great time, surrounded by very nice people! You can find on Youtube some videos of that day. And please, do not underestimate the role of a drummer in a band (whatever band)!! I'm very proud of my lovely beast!